There are new generations of children incarnating on our planet who are very different to previous generations. They have been given many names such as Indigos, Crystal Children, Children of Light or Star Children. The children are far more multi-dimensionally aware than what is presently considered to be the ‘norm.’ Many have a deep understanding of their multidimensional reality and speak about helping humanity awaken to a higher state of consciousness. They may also be aware of contact with non-human extraterrestrial intelligences. Metaphysical groups have recognized these children and offered labels to explain the differences. However some are labeled dysfunctional because they struggle to socialize or cope with the pressures and conditioning modern society places on them. These labels include ADD (Attention Deficit Disorder), Asperger syndrome, forms of Autism, and Dyslexia. However these labels may stem from our lack of understanding of the way these generations operate or perceive reality. It appears that many struggle with the conditioning of 3D reality. Dr. Ohlson PhD, a molecular biologist calls these individuals “letter people.” She believes she is a letter person, i.e. Asperger’s/ADHD and has explored her multidimensional and physical sensitivities from a practical and scientific perspective. The programs such as ADD, ADHD, Aspergers, “Letter people”, I do not believe are ‘broken or dysfunctional genes’ but instead offering new multidimensional skills to prevent limited re-programming of a third dimensional reality.The letter people show an impairment in communication between the brain-halves and thus use one side of the brain for solving the same problem. Although it is thought they are dysfunctional however, it may be a way to free more space in the brain for solving difficult tasks. The Asperger part might be responsible for ‘higher’ knowledge, not interested in traditional learning. Dr. Ohlson PhD a molecular biologist brings two important perspectives to this phenomenon: The perspective of the soul journey, and our extraterrestrial star origins. It is not so simple as foreign DNA. It’s a combination of genetically improved bodies, in combination with souls from different places in our Universe, incarnating in these ‘improved ‘ bodies. The souls have different frequencies/vibrations depending on their evolutionary status and that plays a role in activation of the DNA in that particular body. I believe we also have to take into account the collective soul of Homo sapiens. The ‘letter people” have above normal sensory cells on the skin. They hear above normal range. They are aware of minute differences in the shades of colour than normal. Taste and smell are enhanced. Sensitive to all frequencies and can be overwhelmed by sensory overload. Sensitive to radioactive radiation as well as energy fields and energy beaming from angry people or animals. * Occasionally they may need Silica gel for the stomach and nervous system and probiotic for the intestinal flora. * For the nervous system and brain (running all the functions in the body this is crucial). * Vitamin B´s in a complex /day (25 mg each of B1, B2, B6, PABA, Inositol)(50 mg each of B3, B5, Cholin) (50 microgram of B12, 25 microgram B15, 150 microgram Biotin and 200 micrograms Folic acid). Note: In most vitamin B´s this is over recommended daily intake but her family have taken this daily for more than 10 years with no side effects but becoming healthier. MSM (methyl-sulfonulmethane): Initially start with few grains to the maximum dose of two tsp. daily. This supports the enzymatic reactions in the brain and the formation of acetylcholine from Choline. Best to be taken morning or during daytime because it gives energy and can keep the person awake in the night. For the prevention of anxiety take Valerian officinalis between 200mg/ day and 1200mg/day, and for depression Hypericum officinalis (between 600mg/day and 900mg/day). I believe that Neil’s interpretation is far more accurate and it coincides with Molecular Biologist Ds William Brown who also recognizes the New Human Phenomenon and the modification in our genetic codes occurring now. I believe genetic modification occurring right now in Utero are actually producing ‘New Humans’. Their NEW genetic architecture allows them to see the world in a multidimensional fashion. I believe research would show dormant genetic regions are being integrated into the biological systems and occurring in all of us to produce expanded awareness. There is an exponential increase in ADD, Autistic and Indigo children. Their brains work faster and I believe they already ‘KNOW ‘ what they are being taught. The ‘intrinsic” understanding of knowledge and information operates at a bio-molecular level – its trans-generational information. It is“encoded” within the atomic structure of the DNA molecule. It can be accessed more efficiently to produce savant like characteristics. The modification of the DNA is more like a remodeling of the genome to make dormant regions accessible again. Extraterrestrial visitation is a very important factor as it is known these ‘intelligences’ are very interested in human DNA, and research suggests they have been involved in changes to human DNA. Therefore its only logical and may well explain some of the ‘differences’ we are observing in the New Human behaviors. I believe it is logical to assume this is directly related to human encounters with non-human intelligences. My hypotheses stems from twenty years of research into extraterrestrial encounter phenomena and 3,000 cases. Their true origins, i.e. Star family. Past lives on other planets. Their mission on planet earth. They have conscious recall of being taken on spacecraft, and what they learn on the spaceships. The multidimensional skills enhanced by education on the space schools. What is really going on re: covert programs and hidden agendas? The purpose of certain ancient sites and technologies. Decode some of the symbols and art work from ET encounters. Can connect to all living and inanimate forms on a multidimensional level: animals, plants, and minerals. Write unusual scripts, speak star languages and draw symbols, and beings they interact with. Paul Dong and Thomas E. Raffill also mention some of the psychic abilities mentioned above in China’s Super Psychics. They label this phenomenon, EMF (Extra Human Functions) or HAS (High Sense Abilities.). The children however are now identified in many cultures, primarily seen as super psychics without the understanding that there may be alterations that are not due to natural evolution but through extraterrestrial intelligences. The late Dr. Roger Leir a pioneer in Ufology most known for his work removing implanted objects after extraterrestrial encounters. Dr. Leir was convinced humanity was being ‘upgraded’ though their contact and interactions with extraterrestrial beings. The struggle for the New Human is to operate and function when their awareness and understanding is not understood or acknowledged. This may manifest as arrogance or frustration, but most often it’s more a sadness, or confusion. They can feel their star family has left them and struggle to be here and just want to go home. It can be overwhelming and lead to a conscious or unconscious desire to dumb themselves down with alcohol, drugs or vacate though suicide. It is important that humanity recognizes this evolutionary leap in human consciousness. To recognize these new generations are different for a good reason, we need to listen to what they have to tell us. They truly are the ‘way showers’ to an evolving humanity. Adults have small ears they don’t want hear the messages we try to tell you. Why don’t they listen!– A 9-year-old NEW HUMAN who speaks star languages to heal water. 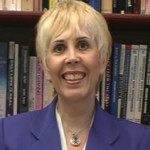 Mary Rodwell, Awakening How Extraterrestrial Contact Can transforms your Life. Republished 2010. Mary’s next book THE NEW HUMAN covers all the above and how we are all evolving into a more aware species of human.